There’s nothing quite like picking fresh figs from your own backyard! So here’s what you need to know to grow your own fig tree! Figs are the first plant that humans ever cultivated for food! We’ve been besotted with their delicate texture and sweet flavours for centuries but nowadays, we tend to wait for them to arrive at our grocer rather than growing them ourselves. With that in mind, here’s our guide to growing your own figs! Firstly, you need to source a fig seedling or to save some time it’s just as good to purchase a young tree. Fig plants can be purchased from your local nursery or you can contact a fig farm and ask if they sell them. If you’re really keen, you can grow a fig tree from a seedling. Just remember to soak the seeds in lukewarm water for 1-2 days before planting them in soil – the ones that float to the top are most likely infertile so only keep the seeds that have sunk to the bottom. The beauty of fig trees is that you can grow them in either the ground or in a pot. As your tree grows, you can transfer it to a larger pot or into your garden. A potted fig tree is great when space is limited or for apartment living, it also ensures that your figs are sweeter than ones grown naturally on large trees. 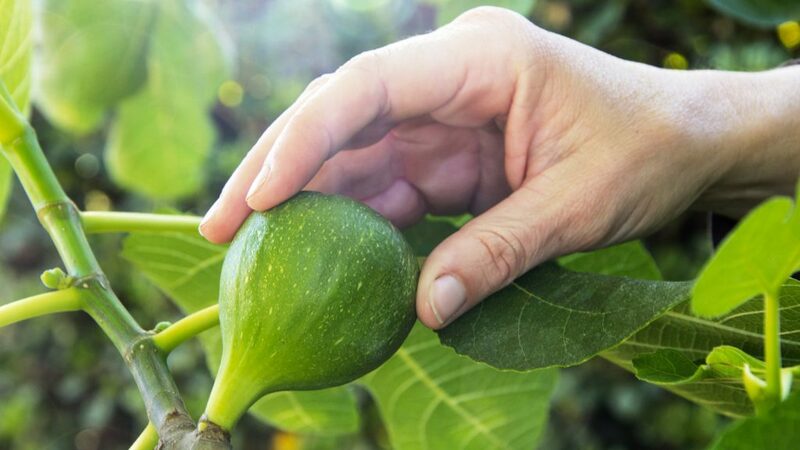 Fig trees are tolerant of most soil types, but perform best in well-drained fertile soils. Remember to water your fig tree often but don’t soak it – if the tree receives too little water you may find that your figs are a little more hollow than usual, too much water and you’ll end up with your figs splitting! We’re also not the only ones who love a sunburnt country – figs do too! Fig trees grow really well in Australia due to our hot summers and cooler winters. Just be careful while the tree is young as too much sun can see a little sunburn on it’s leaves. To protect your young tree’s bark from burning, you can use a white water-based paint which will act as a sunscreen. It’ll take a little while for your fig tree to bear fruit – usually between two to three years, but oh boy is it worth the wait. Fig trees usually have two fruiting cycles a year, the first in early February and the second throughout March and April. Allow the fruit to partly ripen on the tree but be sure to pick the fruit as it ripens as they spoil fast! There are a number of varieties available in Australia including the Brown Turkey – a perfect variety for Australia with full flavoured medium sized fruit with thin skin; the Black Genoa, a larger fig that’s rich and sweet – perfect for eating fresh; the White Adriatic, a very large tree with greenish yellow fruit that has a wonderful flavour and strawberry red pulp; or the Prestons Prolific with thick creamy white flesh and sweet juicy flavour. 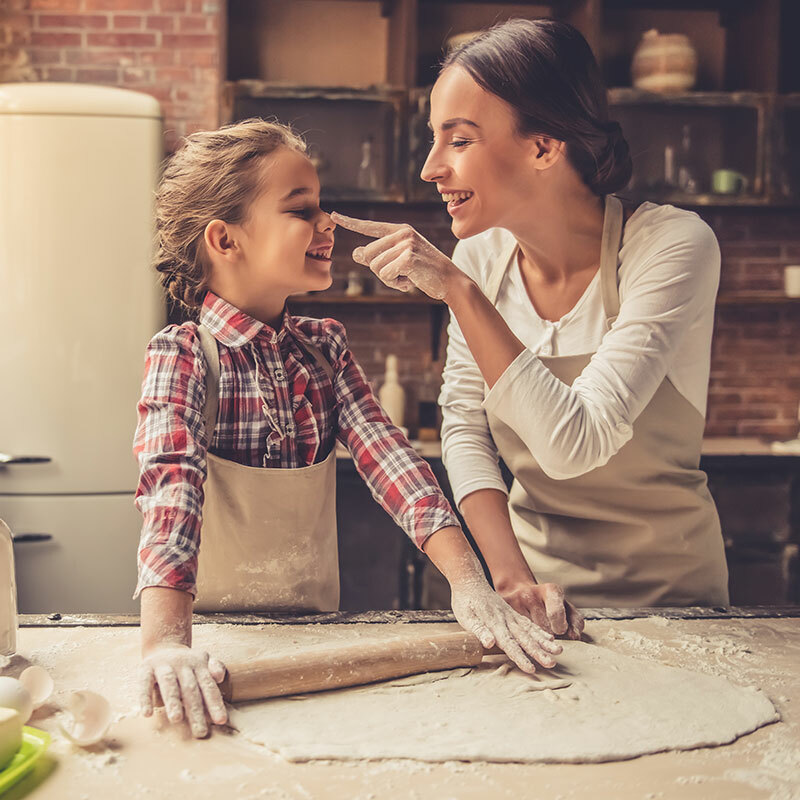 No matter which variety you choose, you’ll fall in love with your fig tree… because while money doesn’t grow on trees, luckily for us all, figs do! Eat them fresh, dried, glazed or poached.. and don’t forget the leaves, there are quite a few ways that these can be used in your cooking too!